Cueto Law Group, P.L. 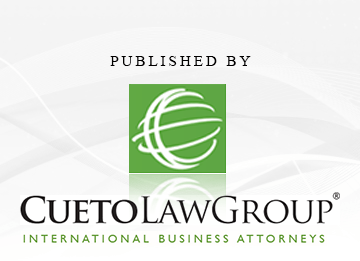 is a South Florida-based international law firm helping its clients do business across 121 countries. The firm has a strong international capability through its network of relationships with law firms around the world. The firm focuses on delivering legal services of a complex, high-profile and multi-jurisdictional nature. By combining sophisticated legal representation with the efficiency, focus and personal service of a boutique firm, Cueto Law Group has become the firm of choice for complex international litigation and transaction matters.